AcoustoTherm® Backpanels nest above drop-out ceiling panels, creating an insulating and sound dampening pocket of still air. 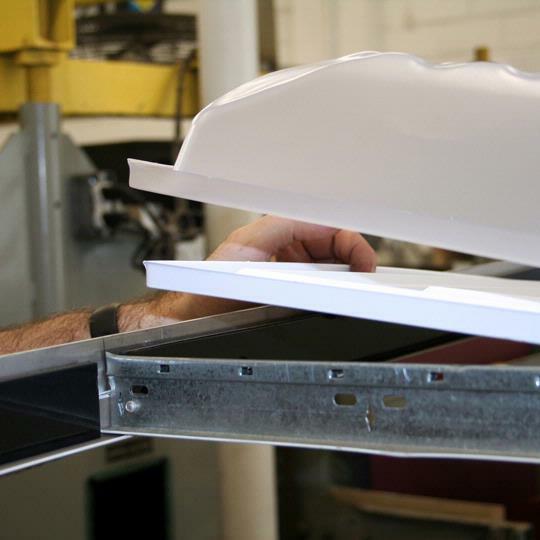 This air pocket will boost a suspended ceiling's Noise Reduction Coefficient (NRC) and R-value without voiding drop-out ceiling panel certification. 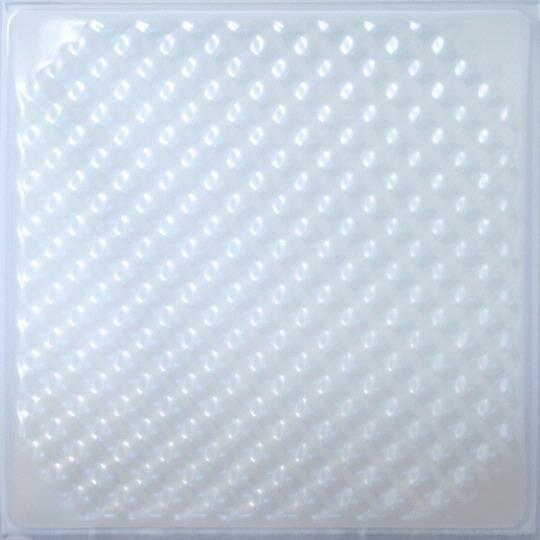 AcoustoTherm Backpanels can also be used in lighting applications to hide dust and insect accumulation. Please note: To install AcoustoTherm Backpanels, at least 6" of clearance above grid level is required. Can these be used on raised ceiling tiles (Westminister) as long as there is a 6&rdquo; clearance? Ceilume's Westminster coffered ceiling tile projects upward from the grid by about 1.5&quot;. Installing the Westmisnter with an Acoustotherm backpanel would require about 8&quot; above the grid for installation clearance. Installing the Soniguard Drop Ceiling Insulation on top of a Westminster would only require about 5-6&quot; of clearance and would result in better noise reduction. How do these compare to the sonigard insulation? If we&rsquo;re trying to really reduce noise, which is better? Could you use both to really reduce noise? Ceilume's Soniguard Drop Ceiling Insulation performs much better for reducing noise than the Acoustotherm backpanels. When used with a Feather-Light Ceiling Tile (.013&quot; thick material) such as the Westminster or Stratford, the Soniguard will provide an NRC of .50 whereas the Acoustotherm only provides an NRC of .30. We do not recommend combining Soniguard and Acoustotherm.